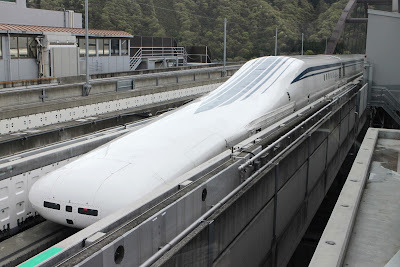 The fastest magnetically levitated (maglev) train runs at the speed of 603 km/h (374.69 mph), achieved by the Series L0 (A07) which was operated by the Central Japan Railway Company on the Yamanashi Maglev Line, in Yamanashi, Japan, on 21 April 2015. The Yamanashi Maglev Line is currently a test line. 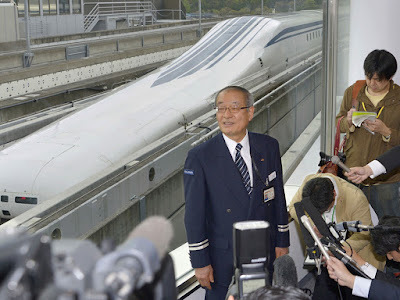 Central Japan Railway Company started building the new L0 (L zero) Superconducting Maglev train series in 2010. The next-gen train technology relies on magnetic power to float the cars above ground, eliminating the friction of steel tracks. 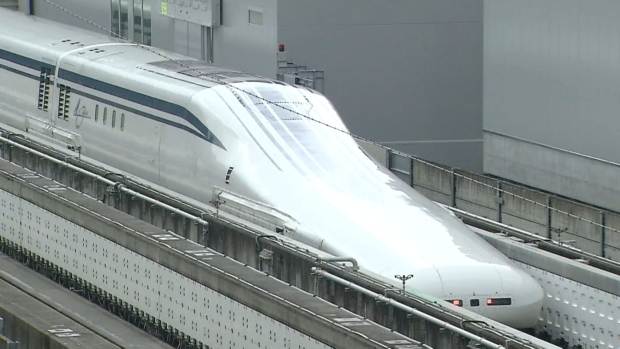 The trains start off running on wheels until they’re going fast enough for the magnets to kick in and create lift.